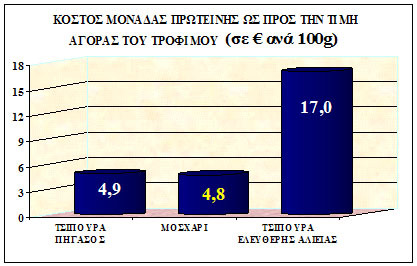 Επικύρωση ποιότητας αλιευμάτων της ΠΗΓΑΣΟΣ ΘΑΛΑΣΣΙΑ ΤΡΟΦΙΜΑ Α.Ε απο το Ελ.Κε.Θε. 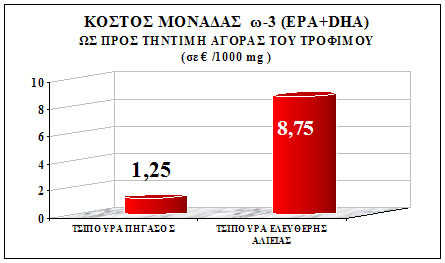 The qualified center of the Greek Ministry of Development, for the certification of the sea foods traits is the National Marine Research Institute. It is the center with the appropriate equipment and we collaborate, in order to make our products’ quality control. The analysis is comparative and is related to all the traits of the fishes’ quality, especially the appearance, the texture, the taste, επίγευση, the odor, the flavor and the total composition of the whole fish, with a full and diagrammatic draft of the organoleptic profile. 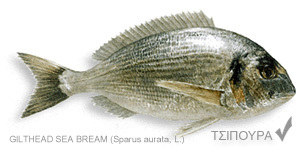 Gilthead sea bream (Orata) Sparus aurata, organoleptic profile. Our efforts tend to the adaptation of a completely natural nutrition standard to secure the permanent and stable nutrition value of our fish. The scientific knowledge of the nutrition procedure, for all fish growth stages from the fry till the appropriate commercial weight and the implementation of the long nutrition studies, allows us to tell that Pegasus’ fish is the most well fed in the market. This is the major factor, which gives taste to our fish, similar to the wild one. We want the gastronomic pleasure to be accompanied by all the nutrient elements, which sea food can give. Pegasus’ products consist one of the most valuable sources of protein and polyunsaturated fatty acids of high biological value and contribute, in a unique way to the preservation of the consumer’s health.